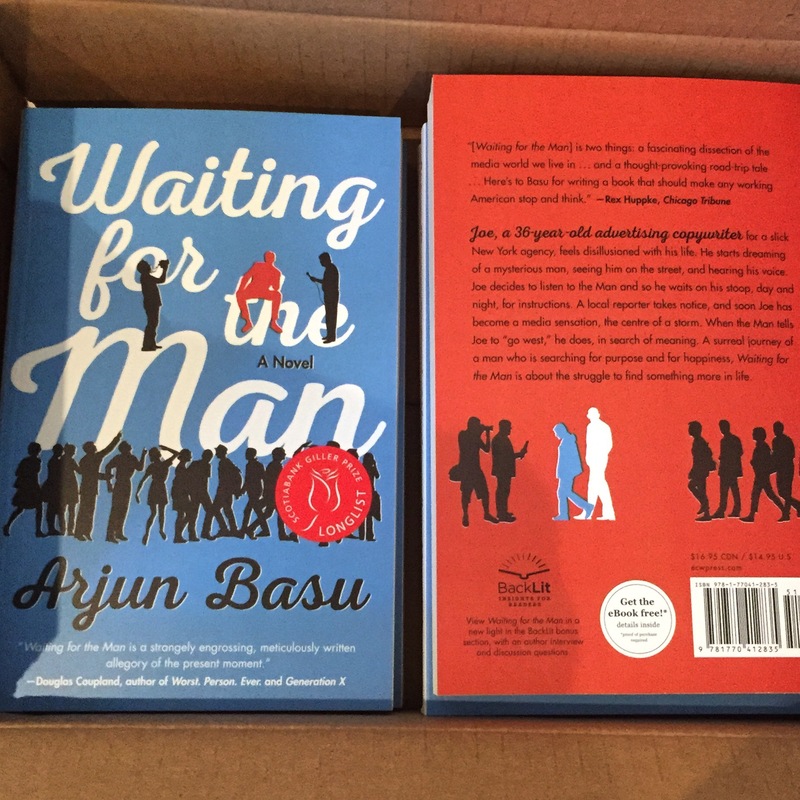 The paperback version of Waiting for the Man is out now. Or will be soon, depending on where you live. If this interests you, walk to your local bookstore and buy it. If they don’t have one, ask them to order it for you. Or, of course, you can purchase it online. Sure, it feels odd in this day to have a paperback version of a book published 18 months after the original, or published at all, and I hope this version does find an audience that the hardcover or the e-version or the audio version (oh, there’s that as well) didn’t find. There’s something almost quaint to the idea, but in the end it’s just another product, now new and improved, with a new cover (also by the great Michel Vrana), a fancy Giller longlist logo, a Q&A with me, some thoughts on stuff that inspired me to write (or inspired me while writing), and questions, for book clubs, I guess, but perhaps just to get you going on your own thoughts about the story, though surely you don’t need something to ask the questions for you; you’re smart enough on your own. You got through my book! Someone should buy you a drink. And respect your space. And not ask so many questions. This entry was posted in News & Reviews and tagged Amazon, audiobook, Barnes and Noble, Giller, Indiebound, Indigo, paperback, Powell's, Waiting for the Man. Bookmark the permalink. Post a comment or leave a trackback: Trackback URL.